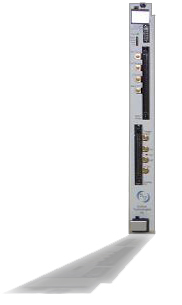 The STICOMM is a mixed signal test instrument that extends the multiplexing and tester resource capabilities of the STI9000 ATE. The test instrument fits into a standard STI9000 ATE mainframe slot. 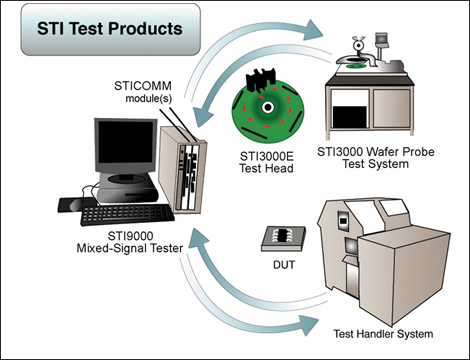 It provides increased flexibility and scalability of STI9000 and custom tester resources. This results in an economical solution for increasing tester capacity. The main features contained in the STICOMM include power supply resources, parametric measurement unit (PMU) resources, clock buffering, VDD buffering, LF generation, stimulus signal generation, RMS-DC conversion circuitry and current-to-voltage digital conversion circuitry and multiplexing. Solidus offers a family of STICOMM instruments providing a range of serial and parallel device testing configurations with increased tester resources and flexibility, depending on your test needs.